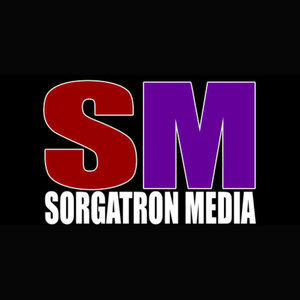 We found 10 episodes of Sorgatron Media Master Feed with the tag “wrestling”. It's time for your weekly dose of mayhem as we've got Mad Mike, Larry, Brohemoth, Sorg, and Rizz on to talk about this week in wrestling. Matt Light joins Larry, Sorg, Mad Mike and Mainstream Matt as we roll into another recap of this week in wrestling news. Wrestling Mayhem Show 656: Who's Your Litty? Duke Davis and Ganon Jones, Jr. - The Mane Event, make their return to the show this week, and they brought their friend Litty! It's a little bit of chaos this week as Mad Mike, Mainstream Matt, and Sorg are joined in studio by OSHA, Inc.'s Ronnie Starks, Dan Sandwich, and Tatiana Rose. Marcus Mann joins the mayhem this week, which means it's likely we'll be talking very little wrestling and a bunch of John Cena. Thankfully we have Larry, Matt, Rizz, Mad Mike, and Sorg to keep the show rolling. We made it through the Royal Rumble this past weekend. But, more importantly, we made it through Week 1 of MayhemMania. We've got Beastman in studio as Sorg, Larry, Mad Mike, and Matt take us through this week in wrestling news. It's that magical time of year when we put ourselves in Vince McMahon's shoes for MayhemMania. We've got Mad Mike, Larry, Farnsworth, Sorg, and Mainstream Matt in studio. It's that time of year when we reminisce on what has happened throughout the course of wrestling. Mad Mike, Sorg, and Larry take a trip through old show notes to pull up last year's predictions, and we make some bold predictions heading into 2019. Sorg, Mad Mike and Larry are joined by Ronnie Starks in studio this week. The boys are on their best behavior to avoid being cited for violations by the MtOSHA rep as they talk this week in wrestling.